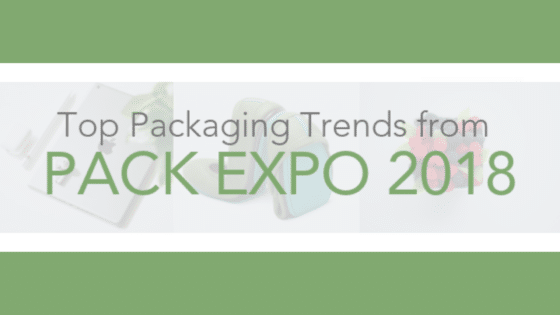 In September of 2016, Specright surveyed 127 packaging professionals in an effort to learn more about the state of the industry, including software preferences, pain points, and the ideal technology support for packaging professionals. Below is a review and analysis of our findings. 1) What are your biggest packaging concerns today? 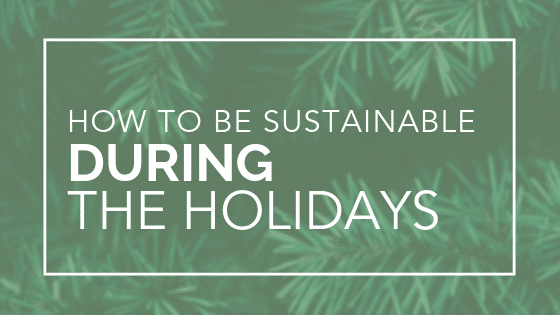 The #1 concern of packaging professionals is failures and defects – which also leads to an increase in packaging waste (the third largest concern). Second to failures was high cost, which makes sense considering the ongoing pressure of cost-saving initiatives. Further conversations with Specright customers resulted in a deeper realization that communication and approval tracking all tie back to the need for ongoing cost control. 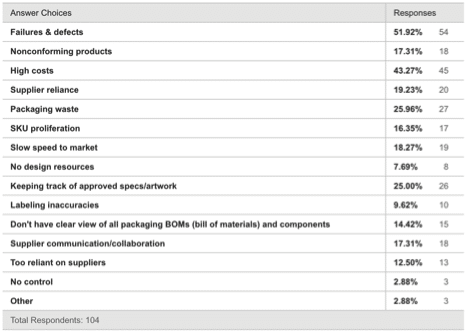 2) What is your current packaging specification management process? 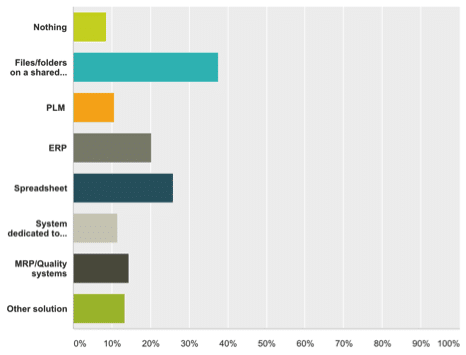 Our survey showed that only ~10% of respondents were utilizing a specialized system for managing their specification data, while ~70% of respondents were either using spreadsheets, shared folders, or simply nothing to manage their specification data. Could this lack of using dedicated systems be contributing to packaging failures and high costs? 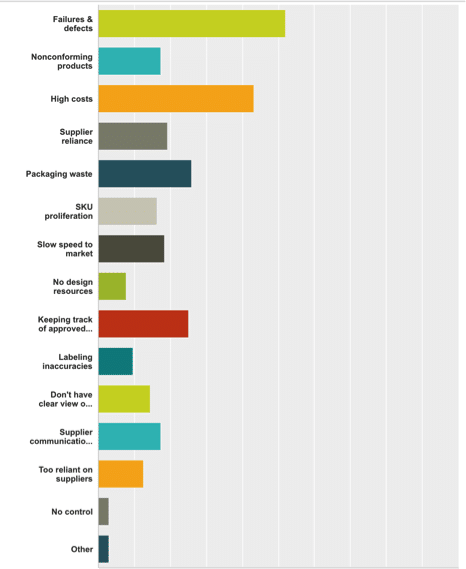 Further conversations with survey respondents yielded the realization that many unnecessary expenses and packaging failures are derived from a lack of organization, reporting ability, and effective communication surrounding projects. 3) What are the biggest issues with your current system? 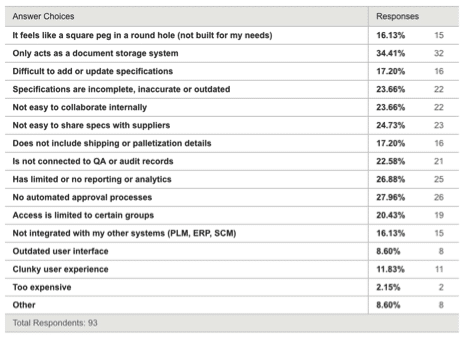 While respondents selected multiple limitations associated with their specification management system, the most selected issues involved their current system’s inability to do more than simple document management – which makes sense given the lack of companies using systems dedicated to specification management. Approvals, collaboration, sharing, and reporting limitations were all frequently selected as issues. PLM, ERP, and shared folders fail to provide packaging professionals the additional functionality needed to reduce packaging failures, identify cost-saving opportunities, streamline the approval process, and collaborate with colleagues in real time. 4) If you could design the perfect specification management system, what features would it include? – Easy/easily (mentioned 11 times) – easy sharing, easy interface, easy to add specs, easy data retrieval, easy for management to check in, easy for collaboration. This was the most frequently arising theme from the responses we received. Although perceived as “obvious” by many, the need for resources that are easy to use and simple to understand seems to be a guiding light for packaging professionals who are looking to upgrade their specification management processes. The remaining 4 themes shed more light into the specifics of this industry’s core needs. – Approval (mentioned 8 times) – production approval, approval routing, artwork approvals, auto-approval triggers(? ), approval processes, and approval reminders. The two-way street of approvals–management easily reviewing/adjusting specifications and making approvals, and packaging engineers easily presenting specifications for approval to management–was mentioned frequently as a feature that other resources (such as improperly used PLM, ERP, and shared folders) failed to adequately provide. – Spec (mentioned 8 times) – spec updates, spec overview, spec visualization. While dialogue regarding specifications was to be expected, we were excited to learn more about the specific limitation our industry faced when it came to the day-to-day activities involving packaging specs. Packaging professionals want to be able to navigate their specification data in a seamless, quick, and transparent manner, without having to rely on tools being tied together or misused in order to accomplish less than what is needed. – Template/Process (mentioned 8 times) – customizable templates, template bank from other users, vendor specific templates, process approvals, process tracking, process accounting. The need for pre-built guides or templates that make the various aspects of the processes–from creative development to approvals–was mentioned several times within our responses. The ability to create templates, have pre-built templates for various situations with individual use cases, or even leverage the cumulative experience and learning from other packaging firms in the form of pre-built templates were just a few of the ideas being requested. – Suppliers (mentioned 5 times) – supplier communication within the tool, limited supplier access, ability for supplier to make updates with access. The lack of collaboration ability and transparency into the specification management process left many of our respondents feeling overly dependent or reliant upon packaging suppliers and vendors. The ability to take back ownership of data and control the exposure suppliers and vendors have to spec data (and not the other way around) was directly and indirectly mentioned throughout the various responses we received. While most packaging professionals are experiencing pain associated with antiquated and incorrectly used tools governing their specification management process, many appear to be too consumed with old processes to begin hunting for a tool that will save time, money, and effort in the long run. 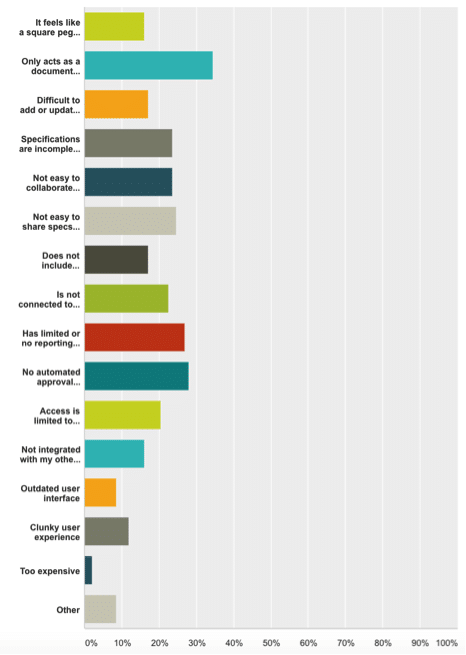 However, our respondents appeared to be extremely clear as to what those pain points are, and what they would like to see in a software solution that was designed to address those pain points. 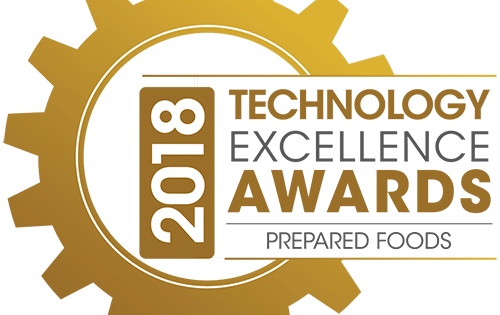 Based on our feedback, Specright expects the remainder of 2017 and 2018 to result in many packaging professionals seeking more modern approaches to specification management. Are you interested in learning more about how Specright can help modernize your packaging specification management processes? Click here to schedule a free custom demo!